The NRC is getting questions from people who want to know how they can help the Japanese people affected by the earthquake and tsunami. The U.S. Agency for International Development (USAID) is encouraging those who wish to help Japanese residents to do so with cash donations to reputable organizations working in the affected areas. USAID is directing individuals to www.interaction.org for a list of non-governmental organizations that are responding to humanitarian needs. Photo: NRC staff work in the agency’s HQ Operations Center in the days following the Japanese event. Author ModeratorPosted on March 12, 2011 Categories Emergency Preparedness and ResponseTags nuclear6 Comments on How Can You Help? The Nuclear Regulatory Commission continues to monitor the unfolding developments in Japan in the aftermath of Friday’s earthquake/tsunami and problems at a nuclear power complex. It is a serious and very fluid situation that is being watched by a variety of government agencies who can provide assistance. The NRC is prepared to provide reactor experts should a request be made. In our communications with the Japanese government both the NRC and other elements of the U.S. government have offered our condolences to the Japanese people over the tragedy that has occurred. 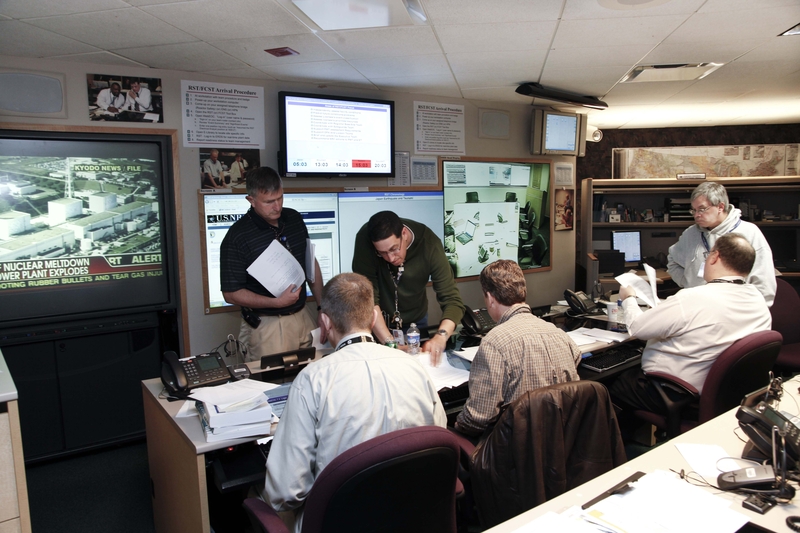 The NRC’s Rockville, Md., headquarters Operations Center is operating on an around-the-clock basis. The NRC is not in a position to confirm reports that come from Japan on a minute by minute basis and it would be irresponsible of the agency to speculate on a crisis unfolding half a world away. We will provide information we consider pertinent domestically when necessary. Nuclear power plants are built to withstand environmental hazards, including earthquakes. Even those plants that are located outside areas with extensive seismic activity are designed for safety in the event of such a natural disaster. The NRC requires that safety-significant structures, systems, and components be designed to take into account the most severe natural phenomena historically reported for the site and surrounding area. The NRC then adds a margin for error to account for the historical data’s limited accuracy. In other words, U.S. nuclear power plants are designed to be safe based on historical data from the area’s maximum credible earthquake. One of the items we have been asked about is how does a boiling water reactor operate. For background information on generic operations at a boiling water reactor, including an animated graphic, visit the NRC’s website at www.nrc.gov .